Robin Lutz Beattie Esq. | Polidori Franklin Monahan & Beattie L.L.C. Robin Lutz Beattie is a Partner in the Lakewood firm of Polidori, Franklin, Monahan & Beattie, LLC. 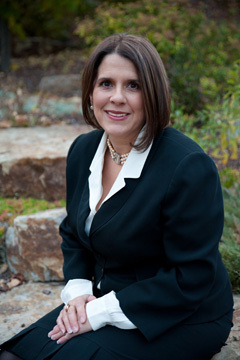 Ms. Beattie currently serves as the Chair for the Family Law Section of the Colorado Bar Association, and Trustee of the Board of Governors for the Colorado Bar Association. 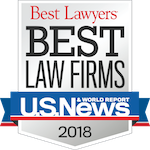 Ms. Beattie is listed in “Best Lawyers in America” and was the President of the First Judicial District Bar Association for the 2013-2014 term. Ms. Beattie graduated from the University of Michigan with honors in 1993. After three years working as a paralegal in family law, Ms. Beattie attended law school at the University of Colorado School of Law, where she graduated with highest honors (Order of the Coif) in 2002. Although Ms. Beattie practiced civil litigation for several years, she has focused exclusively on family law for over a decade, and finds this field to be both challenging and meaningful. Ms. Beattie wrote the chapter on Spousal Maintenance for The Practitioner’s Guide to Colorado Domestic Relations Law and co-wrote an article for the January 2009 Colorado Lawyer: “Postsecondary Education Expenses After Chalat: Paying College Expenses After Divorce.” She has also presented lectures on many family law topics, ranging from jurisdiction to the drafting of Separation Agreements to the impeachment of valuation experts. In 2015, she co-chaired the 2015 Family Law Institute in Vail and in 2018 she will be the Chair of the Family Law Institute. Ms. Beattie has volunteered for many organizations, including the Rocky Mountain Children’s Law Center and the Commerce City Police Department, where she received a Unit Citation for her assistance following the Columbine school shooting. Polidori, Franklin, Monahan & Beattie, LLC. Polidori, Franklin & Monahan, LLC. Spies, Powers & Robinson, P.C. 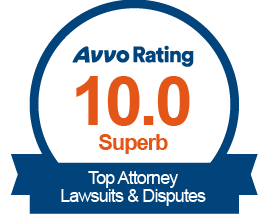 Licensed to practice law in Colorado in October 2002. Spousal Maintenance, Practitioner’s Guide to Colorado Domestic Relations Law, 2nd Ed. (rev. Jan. 2016). Co-Author, Postsecondary Education Expenses After Chalat: Paying College Expenses After Divorce, Vol. 38, No. 1, 19 (Jan. 2009). Experimenting With Death: An Examination of Colorado’s Use of the Three-Judge Panel in Capital Sentencing, 73 Colo. L. Rev. 1, 227 (Winter, 2002). Awarded Unit Citation for Victim Assistance during the Columbine High School tragedy.